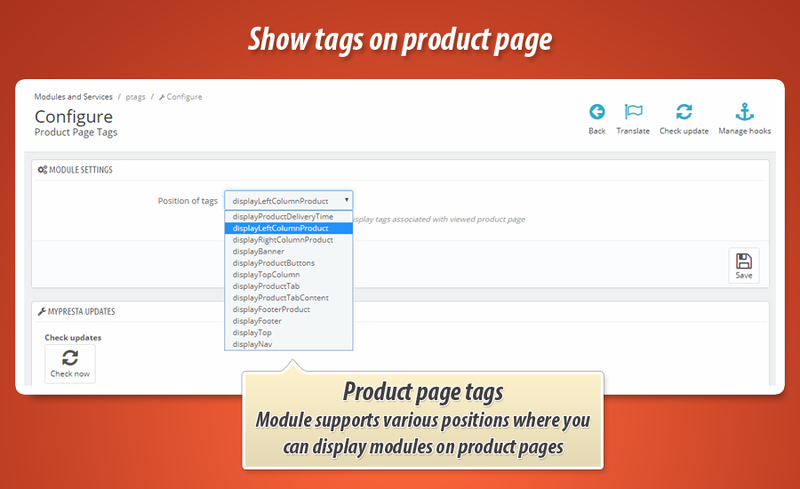 This module displays list of tags that are associated with viewed product page. As you already know - prestashop does not have a feature to show tags associated with product on product page. This is the module that llows to show them. 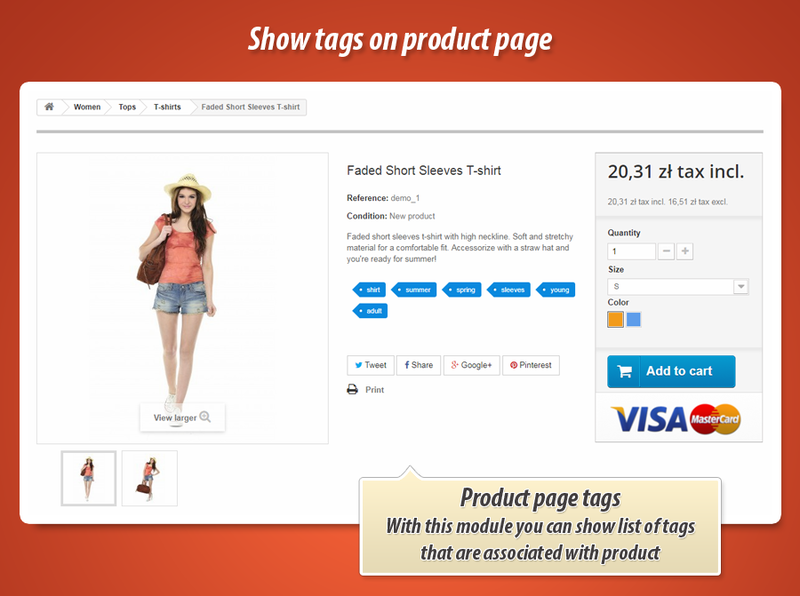 WIth this PrestaShop module you can easily display list of tags on product pages. 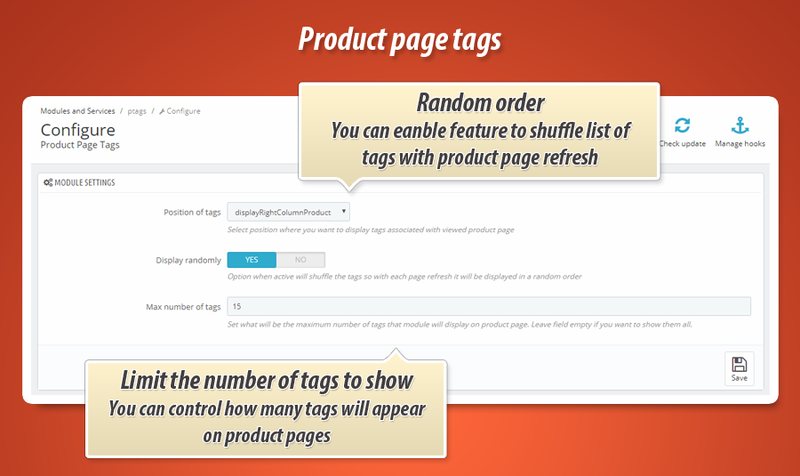 Each product page will show tags that are associated with viewed product page. As a shop owner you can decide where module will show the list of tags (you can configure the position on module configuration page). Full list of available positions you can find below. Module has feature to shuffle list of tags. This means that if this option will be enabled you will see tags in random order with each page refresh. 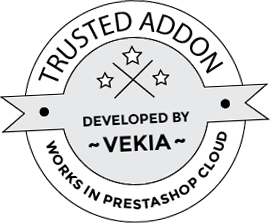 If your product has many associated tags, there is a chance that list of tags will be very long. In this case you can use this option and define how many tags module will show.